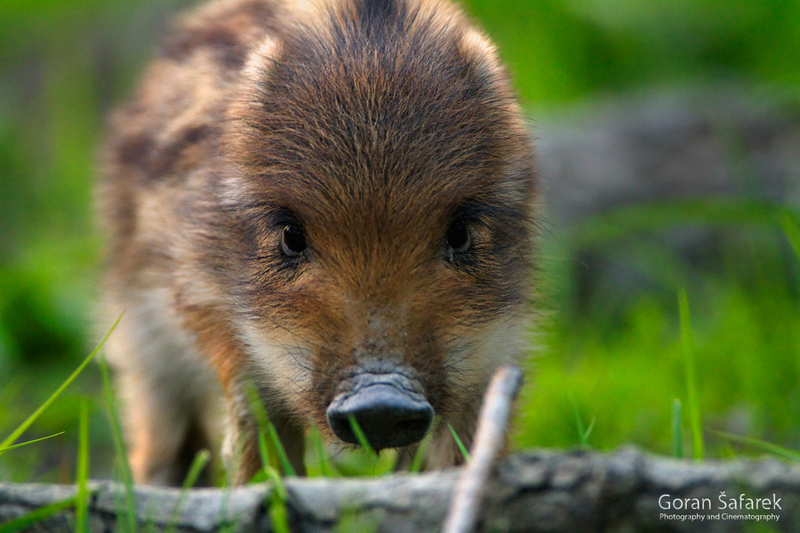 Kopački rit - wildlife documentary live - Explore Croatia Become a Patron! The huge flooded area between the magnificent Danube and Drava rivers, the easternmost part of Croatia, is one of the most famous wetlands in Europe. The images of marshes and natural channels, herds of deer and wild boar, thousands of birds migrating and nesting, are well-known around the world. Kopački Rit is living proof that naturally preserved rivers and their floodplains are not disastrous; rather, they create an amazing natural heritage and recently a tourist attraction. Immerse yourself in a European Amazon, true wilderness! Kopački rit is on our list of TOP 10 nature of Croatia. Kopački rit is located in Baranja region, just 12km from Osijek, the biggest city in Eastern Croatia. It was declared nature park, to preserve almost 20 000 ha of extraordinary biodiversity. The area is divided by the Danube and big dikes that prevent the floods in Baranja. At the same time, it is huge flood retention that stores floodwaves and saves downstream towns. 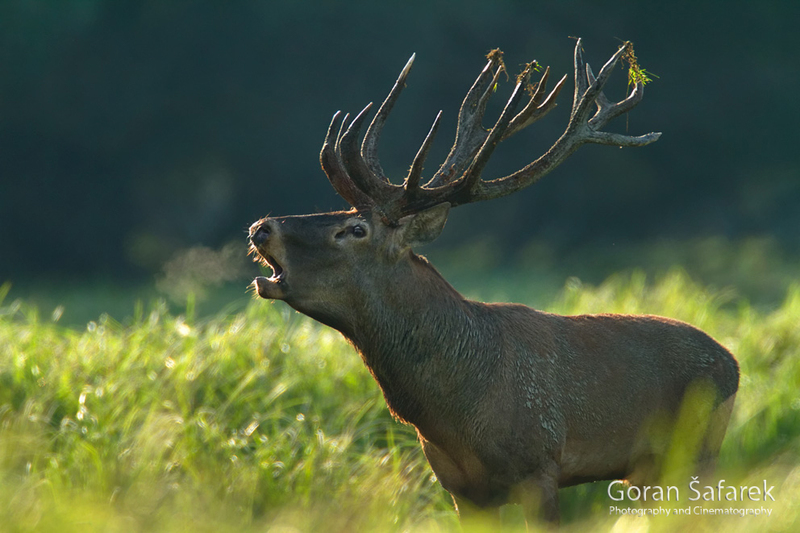 The red deer roars loudly, its warm breath visible in the crisp September air. From its giant antlers hangs a few stems of limp sedge, which it has just lifted off the ground. The large mammal then pricks up its big ears and runs towards a group of does nearby. All this is taking place in the magical setting of Kopački Rit: vast sedge and reed fields, sprinkled with a mosaic of dark green and white willow groves. It is difficult to reach the area on foot; it is better to use one of the natural water channels in the spacious floodplain of the Danube. Scenes like this have disappeared from the largest part of Europe, cultivated and urbanized long ago. Through a happenstance of historical circumstances, the floodplain of this part of the mighty Danube (one of beautiful Croatian rivers) near Osijek has been preserved, not converted into arable land; and the river has been spared from regulation, a condition that has suffocated Europe’s other rivers. This was always an elite hunting ground, first for the aristocracy, and then for President Tito; after World War II, the Danube and its tributary, the Drava, were also the Cold War-era borders with the Soviet tanks and pillboxes in Hungary. The remaining central Podunavlje region, where the borders of Hungary, Serbia and Croatia meet, is one of the last living river systems in lowland Europe. 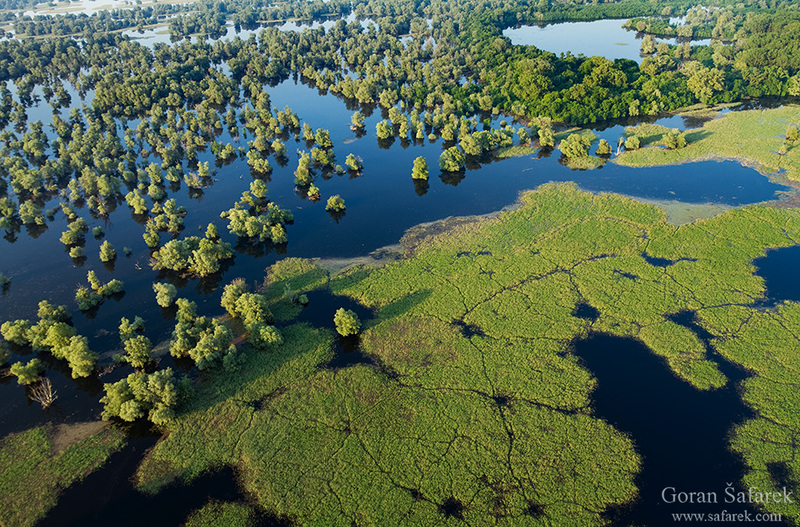 Its largest part, covering 17,000 ha, is protected as part of the nature park Kopački Rit, a crown jewel of the European Amazon, nicknamed UNESCO’s Mura Drava-Danube Biosphere Reserve. Kopački Rit is also included on the Ramsar List of internationally significant wetlands. It is home to the white-tailed eagle, deer and other rare and endangered species, which have found shelter in the vast floodplain, which is indeed a scene rarely seen on the old continent. Rit is a term denoting an occasionally flooded plain, dependent on the water levels of the Danube and Drava, the two arteries of the nature park. In spring, snow from the Alps thaw and both rivers well up, enriched also by spring rains. The water flow then reaches the plains of Slavonia, and the excess water, which the riverbeds cannot contain, spills over into the low and shallow Kopački Rit, the lowest part of Baranja. This creates an enormous lake with brown wisps of reed and green willow trees sticking out of it. Once the rivers subside, the water stays in the floodplain for weeks – on average, 100 days a year, on the nature park’s 23,000 ha. The water slowly evaporates, but depressions, which hold shallow water, remain as marshes. The large natural channels of the Danube’s floodplain are called dunavci. They are also the only way to move through the inner areas of the park, since the rest is either underwater or is an impenetrable jungle. With earthy shores, hosting lush vegetation from the nearby woods, the channel is surrounded by the chirping of birds, the calling of frogs and the rustling wind… Often, there is a startled white-tailed eagle flying off a tree into the sky, or several surprised deer jumping gracefully into a distant wood. As a boat glides smoothly by, and plants sway along the shores, you find yourself all alone in the midst of incredible wild lowlands in the middle of Europe! The largest channel is Hulovski Kanal, 6 km long and at some points up to 34 m wide. One of the largest inner channels is Čonakut, connecting two large lakes: Kopačko and Sakadaško, which hosts a port for tourist boats. Many plant species and as many as 40 plant communities have adapted to the floods, the species varying depending on the quantity of water and duration of overflow. Their habitats range from open waters to a drier, but still flooded wooded area. The water lily and yellow water lily dominate the surfaces of deeper water, while the yellow flowers of the fringed water lily, the green leaves of duckweed, water moss and water fern are predominant in somewhat shallower puddles. Beneath the water’s surface is a forest of pondweed, water-milfoil and other submerged plants. In places where water withdraws more quickly, there are reeds with rushes and expansive sedges. In the summer, the sun is scorching hot, but there is still shade in the flooded willow and poplar woods, while the mighty pedunculate oak grows beyond the reach of any floods. This large and well-preserved natural habitat has been embraced by many animals, especially since they are not disturbed by people here. Kopački Rit is the most significant fish hatchery in the entire Danube catchment area. While deer, during floods, flee to elevated land, ide, common nase, asp, carp, catfish, pikeperch and other fish species come to the floodplain, joining permanent residents, such as the pike. This makes Kopački Rit a true fish treasury! At the peak of mating season, carp sometimes put on a sprinkling show in shallow water, completely oblivious to their surroundings. Mosquitoes start to hatch in the flood waters and the remaining puddles in the woods. Little by little, generation after generation, they become masters of the floodplain, and of the wider surroundings. Their annoying buzz is enough to drive anyone crazy; some years, it is virtually impossible to be out in the open without wearing thick clothes, regardless of the heat. Some species can fly as far as 30 km from the flooded area where they were hatched. Fortunately, other insects, with the exception of horseflies, are not so bothersome. 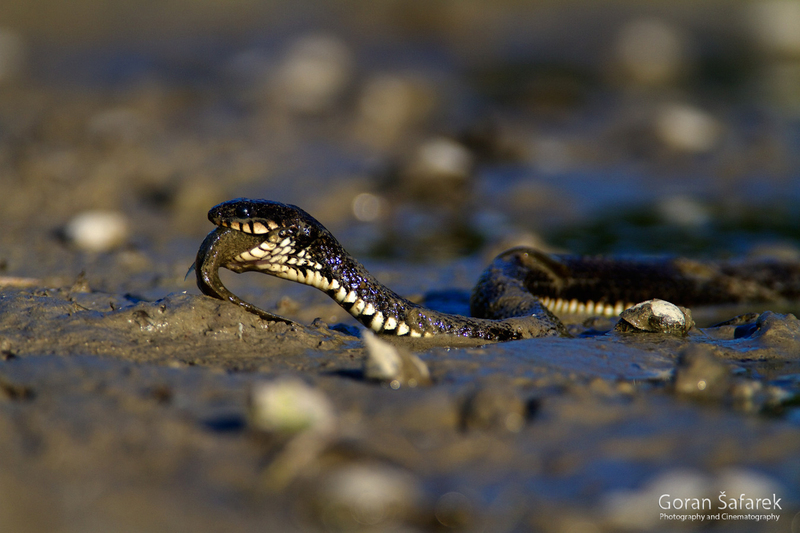 An abundance of invertebrates makes for a feast for reptiles and amphibians. 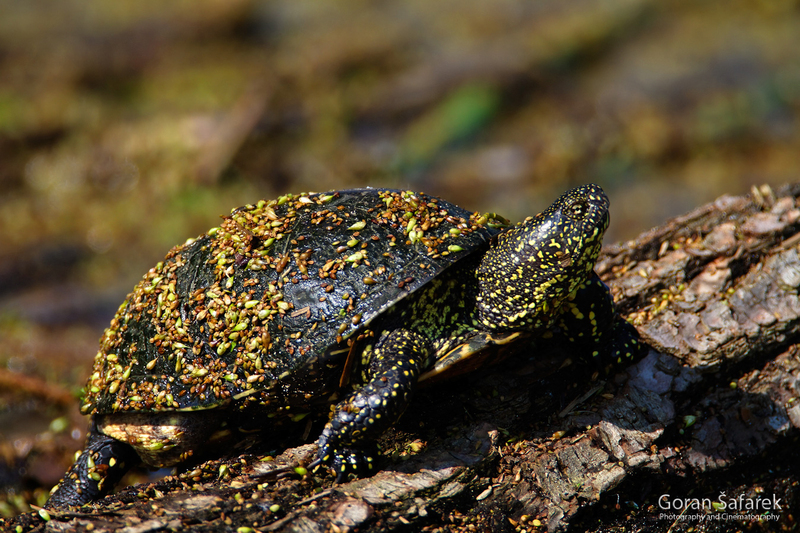 The European pond turtle dives in shallow water, its head emerging only for a moment. Later, they rest and warm up in great numbers on old, fallen trees. As early as spring, distant choirs made up of fire-bellied toads, green frogs and tree frogs can be heard. Grass snakes and dice snakes stalk them slowly, crawling along the thicket or in water. All this is observed by vigilant raptors, the largest of which is the white-tailed eagle. This eagle is the largest bird of prey in the floodplain, unmistakable with its short white tail. Not a picky eater, it preys on everything it can, and will not shy away from carrion. As many as twenty white-tailed eagle pairs nest in the park. A total of 285 bird species are present in the park, about 140 of which are engaged in nesting. Seeing several hundreds or even thousands of birds will leave you breathless. 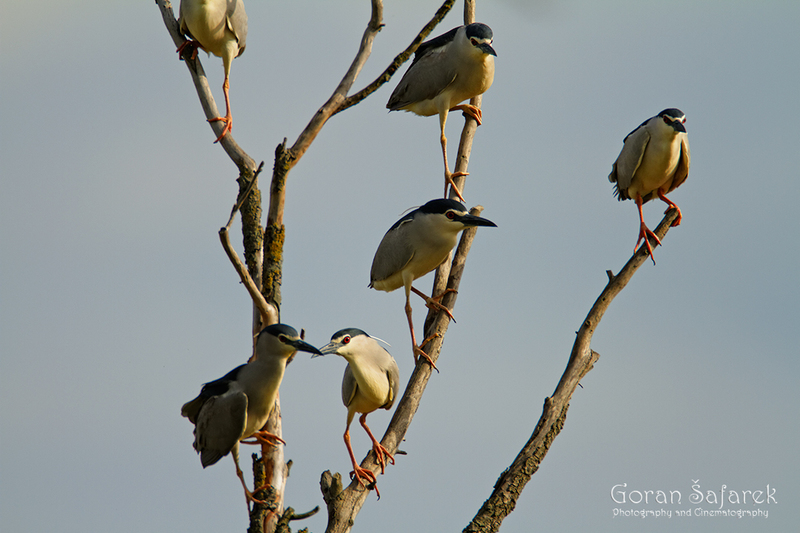 The most numerous are herons and egrets, ducks, spoonbills, cormorants, waders, the black-headed gull… In the spring and summer, Kopački Rit is a large nesting ground. Already in April, geese take their young into the shallow water, never going far from the water plants which offer them timely shelter. Later, ducks nest in a similar fashion, while the grey heron and the night heron nest in noisy colonies on tall willow or ash trees. There is almost no corner where a species could not be found nesting, particularly in reeds, like reed warblers. Among these are the great crested grebes and the whiskered terns, both of which build their nests from water plants on the water’s shallow surface. Both species are also skilled fishers, but while grebes dive in from the surface, terns patrol around in the sky, and when they see a fish, they plummet for it like a bomb. Autumn is the most crowded period, as birds are migrating from the north of Europe towards the south, with hundreds of spoonbills, ducks, passerine birds, waders and other waterfowls flying into the area. A similar situation happens during winter, when birds flee the frozen rivers and lakes in the north of Europe. Many people are even more fascinated by the red deer; often entire herds of these animals can be seen, grazing peacefully in the thick sedge. Due to a rich hunting tradition, deer always had a prominent role in the floodplain, and in early autumn, when deer rut begins, it is one of the floodplain’s most well-known images. Today, Kopački Rit offers excellent feeding and roar sites for deer, and the most important thing is that there are no hunters. 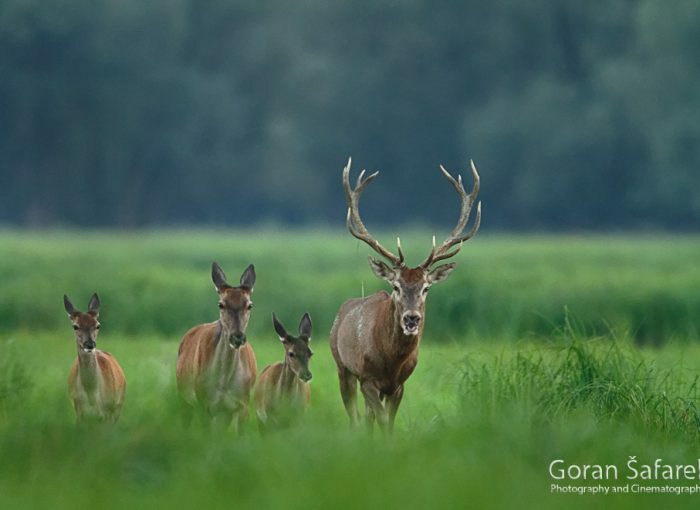 These large animals are well adapted to the Danube’s floods which often occur in the floodplain, and they are good swimmers, able to even swim across larger rivers like the Danube and Drava. During hot weather, they enjoy cooling themselves in the water, which also shelters them from mosquitoes and horseflies. Take copious amounts of mosquito repellent in warm months, as these tiny insects could be really a nuisance. The basic entrance fee is symbolic 10kn. There is just a bit more expensive combo with the boat and the small train. A binocular is a must, you can see from an eagle to the deer. Good way to see the wildlife is cycling on the protective dikes, also paddling with a guide. Spare some time for a good interpretation centre at the entrance.The best place to stay is in Kopačevo, the closest village to the reserve, but Zmajevac, Suza, even Karanac bit further are good options. Another option is Eko centre Zlatna greda on the other end, where you can also have an adventure and learn a lot. You will not stay hungry, due to the scrumptious Baranja cuisine. Try freshwater fish, we recommend fiš paprikaš (fish stew) and perkelt (discover what it is on your own).